Over the last several months we have been exploring the topic of faith - faith in the night seasons. For some this is a difficult subject, but for others it's of the utmost importance. The latter group sees the trials and tribulations that Christians are now facing becoming more intense than ever before, and they are longing for understanding. 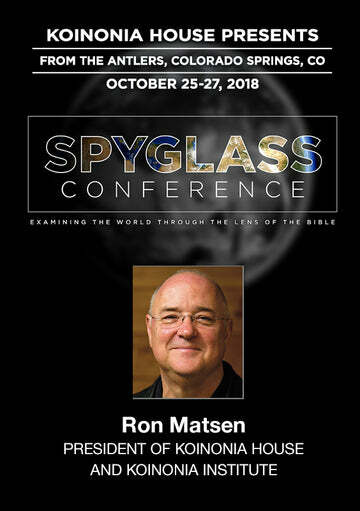 Here are a few examples: There's the young family whose 35-year-old husband and father is dying of cancer; there's the pastor and his wife who have been ministering together for years, separating and divorcing; there's the older Christian man who has been involved in the church all his life, being sued for misconduct and facing financial ruin; there's the young Christian father who has been accused of molesting his neighbor's children and who is currently awaiting prison time; and, there are many other stories too numerous to mention. These are normal, everyday Christians, many of whom I know personally. They love God. They have totally given their lives to Christ. But now their faith is being tested as never before. What is happening? What's going on? In 1 Peter 4:17, Peter tells us that as God begins to wrap up time as we know it, He will allow events to happen in the body of Christ that will try us and test us to the max. How will we make it through this time of testing, if we don't understand what God is doing, and if we crumble at the first hint of suffering? We desperately need to have a grasp of what God's purpose is for allowing these kinds of trials and, most importantly, we need to understand what to do and how to act in them. This series - Faith in the Night Seasons - is designed to do just that. What Is a "Night Season"? By depriving our soul of spiritual blessings, God can begin to transform our reliance on soulish and sensual things to things of the spirit. He wants us to learn to walk by faith, not by our senses, our feelings or our understanding. God wants to teach us how to detach ourselves from all physical, emotional and spiritual supports, so that we will be able to respond with "Not my will, but Thine." Because this season can often be a time of desolation, of dried bones and ruined hopes, many Christians- because they don't understand what God's will is or what He is doing - get so discouraged and defeated that they give up and turn back. If we can only remember during our night season that the Holy Spirit has led us into this darkness on purpose. He desires not only to "replace us with Himself," but also to make us holy so that we can fellowship and commune with Him. The whole purpose of the sanctification process is not only to learn how to reflect Him, but also to learn how to have intimacy with Him. Who Experiences the Dark Night? As we said early in this series, the Lord allows the dark night to happen to all of His beloved children, and especially those who are the most faithful, the most loving, the ones who want all of Him. As Revelation 3:19 states, God chastens those He loves. This night season happens to people walking with the Lord for a long time; people who love Him with all their heart, mind and soul; people who have surrendered their lives to Him; people who are obedient to Him; and, people who fear Him. Again, remember Isaiah 50:10, "Who is among you that feareth the Lord, that obeyeth the voice of his servant, that walketh in darkness and hath no light?" Joy Dawson, a wonderful author and Bible teacher, shares that if we live righteous lives, then there is an inevitability that all of us will, at one time or another, experience God's fire or a night of faith. Therefore, the longer we walk with the Lord, the more we can anticipate this experience, unless we choose to moment by moment surrender everything to Him. Great Christians are made by great trials. Pain, sorrow and failure are what produce men and women of God. Those with the greatest dreams are often the ones who receive the greatest trials. Eternal lessons seem to require hard places. Only by uncovering and exposing our defects can God really heal us. First, He must take away all our external and internal supports other than Himself, then He can strengthen our inner man, enabling us to experience His fullness. The dark night of the soul happens to people who have already accepted the Lord; those who have already given their lives to Him; those already filled with the Spirit; those who have already dedicated their lives to Him; those who have already asked for intimacy; and those who have already been set aside for God's purposes of ministry. Why Does God Send the Dark Night? There seems to be three things that God is looking for in each of our lives: our conversion (or salvation), our conviction and our consecration (or sanctification). God wants to know the full proof of us. He wants to know our real heart. Will we be obedient in all things? (2 Corinthians 2:9) Will we obey Him, even when we can't see Him or feel Him? Will we hold on to His truths even though we don't understand what He is doing? The kind of Love that God wants from us is a love that reaches to the point of full and total surrender. Remember, to really love God (agapao) means to totally give ourselves over to Him. If we are discontent with what God has allowed in our lives, it's a sure indication that we have not completely surrendered and abandoned ourselves to Him. Just as God had to keep testing and proving Israel, so He must continue to humble, abase and weaken us. That way, He will perceive if we love Him, and we will see our total inability to live without Him. The Lord wants believers who have faith like Job, and who can utter like he did, "Though You slay me, yet will I trust You." When Job sought the Lord to know why the bad things were happening to him, he got no answer from God. And it's often the same with us. God only tells us that He does have a plan for our lives and even though we don't understand what that plan is or how it is going to work out, we must trust that He always has our best in view. We must learn to rely upon Him in spite of our circumstances, in spite of our logic and in spite of our human reason. Human circumstances, logic and reason are not sources for spiritual guidance. We must trust that only God knows what is best for our lives; therefore, whatever He allows into them He will use it for our good. Lamentations 3:33 tells us that God does not afflict us to punish us or to be mean. He does so only to accomplish the sanctification that will ultimately bring us abundant Life. God's purpose for all of His actions towards us is that Christ might be formed in us and that we might experience intimacy and fellowship with Him. God wants to purge our souls from sin and self, so that we will be open and willing to follow Him at any cost. Our will controls everything in our lives. Thus, God wants us to have a will that is completely yielded and at one with His own. One of the major purposes, then, of the dark night of the soul or a night season is to formulate an unshakable resolve in us, so that even if everything goes wrong in our lives and even if we can't see or understand a thing of what God is doing, we will still choose to cling immovably to God. He wants us to be governed only by our choice of faith - a faith that proclaims whether I live or die, I choose to trust in You, not in my own thoughts and emotions. God wants to produce in us a trust that can never be shaken. He is drawing us away from a life of senses and feelings and forcing us to turn to Him in naked faith, faith without feelings. He wants us to be able to constantly say and mean, "Not my will, but Yours" and "Though You slay me, yet will I trust You." God is teaching us, by darkening us, that all that matters in this life is knowing and loving Him. He wants us to love Him and rely upon Him regardless of what we desire, regardless of what our intellect is saying and regardless of what we are feeling. He wants us to be able to echo what Paul declares in 2 Corinthians 4:8-11: "We are troubled on every side, yet not distressed; we are perplexed, but not in despair; Persecuted, but not forsaken; cast down, but not destroyed; Always bearing about in the body the dying of the Lord Jesus, that the life also of Jesus might be made manifest in our body. For we who live are always delivered unto death for Jesus' sake, that the life also of Jesus might be made manifest in our mortal flesh." Our going through the dark night season and coming out even stronger in spirit shows God that He alone is important. It shows Him that we have left "all," even ourselves, to follow Him. Joy Dawson made an awesome audio tape entitled, "In the Fire." In this tape series she describes God's seven purposes for allowing the night seasons in our lives. 1)To melt hard substances and produce brokenness. 2)To destroy anything in our lives that is useless. 3)To reshape us and make us pliable for more use. 4)To make us more like Jesus, who is our example. 5)To endow us with more power. "Fire, glory and power are always linked." 7)To teach us how to mentor and help others, by learning more about ourselves and our own responses to the night seasons. We will experience a purging and a cleansing of our soul from sin and unrighteousness. Our will will become one with His as we learn to choose "not my will, but Thine." We will experience His Life - His Love, His Wisdom and His Power. Our faith will become transformed and we will begin to have a radical trust in God. We will see the purposes of His Cross more clearly. We will no longer be concerned about our own wishes, needs, and mindset. We will be delivered from self-pity and self-righteousness. We will begin to have an overwhelming desire for God. We will learn more about His grace and acquire more understanding of His ways. The Scriptures will become alive to us as they never have before. We will begin to have deep compassion for others who are suffering and we will be eager to comfort them. We will develop more of His character - His patience and His longsuffering - as never before. We will begin to experience a serenity and a peace that passeth all understanding. By going through the dark night of the soul, we should be able to come out with both a clearer understanding of ourselves, and a complete dependence upon God. To be continued: "Passing Through the Night." What can we do to make it through our night seasons? Abandoned to God, Oswald Chambers, pages 37-38.